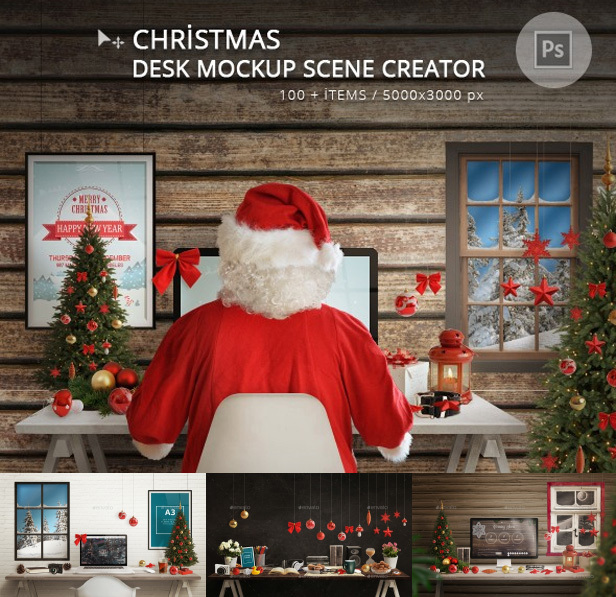 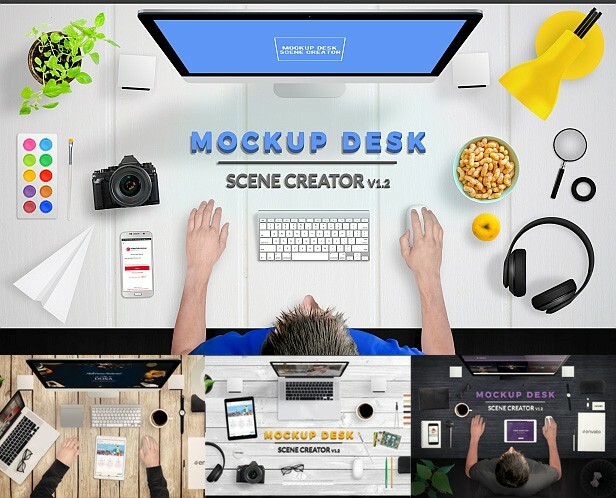 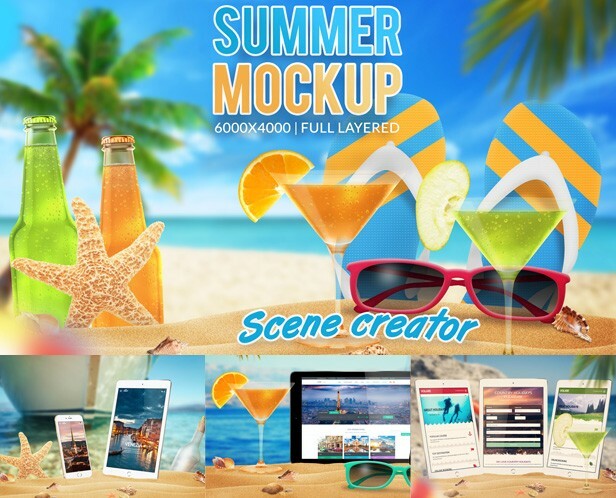 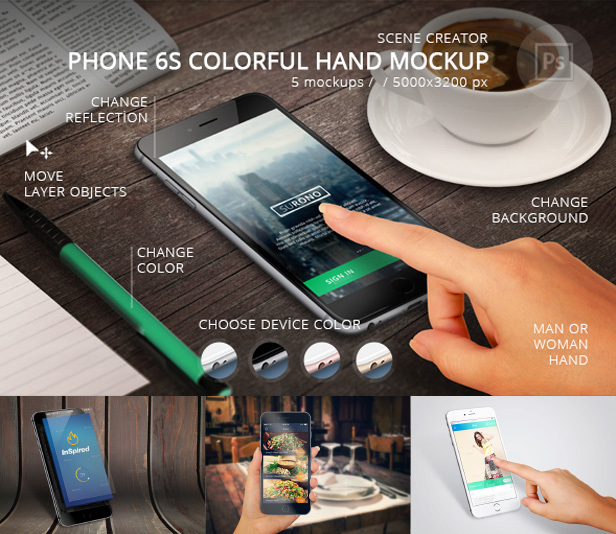 Love Mockup Scene Creator is Photoshop file with 110 + objects, high resolution 16 Mpx, 5000×3200 pixels, 300 DPI /dots per inch/, 6 backgrounds images and adjustment layers with prepared 21 effects. 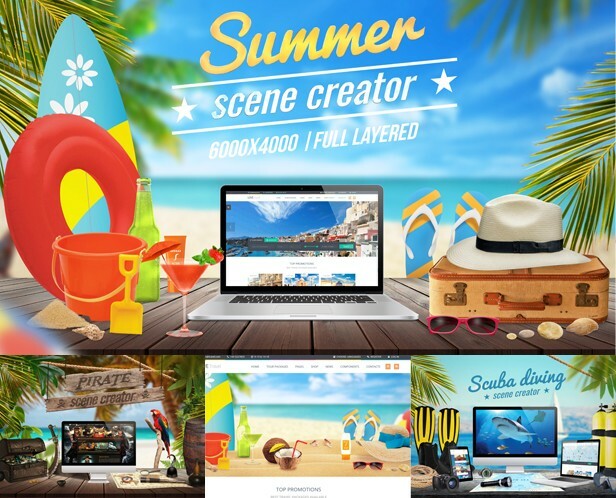 Scene Creator with devices (phone 6s, pad air 2, mac, book pro) and display smart object is easy way to make better promotion of your design work. 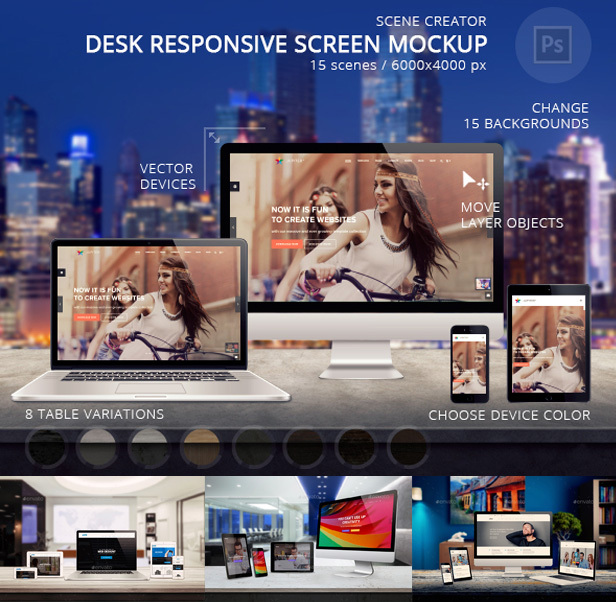 Easy put your design in smart object window (tutorial in readme file) and image will be shown on the display with already prepared reflection, shadow and ambient light. 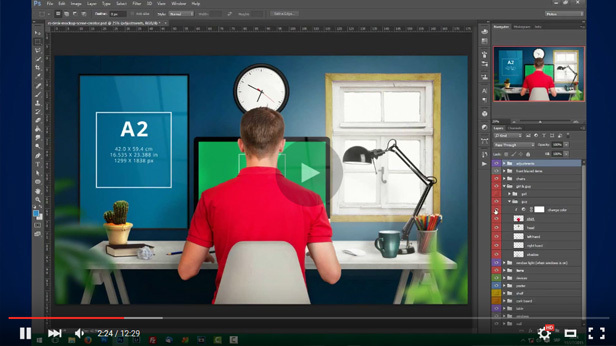 Click above and see the possibilities of this file.